I’m experimenting with editing my photos lately. I hesitate to edit photos of landscape, I only adjust colors so it seems more real (to me). I think this is different, editing photos of buildings and cities. It’s more like creating a picture, based on a photo. 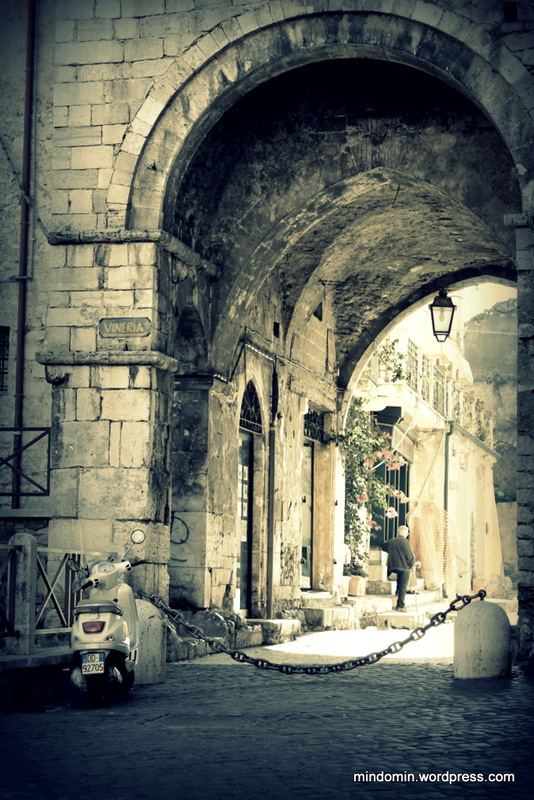 Here’s one from the old town of Terracina in Italy.